Police detectives working undercover spotted and arrested two men posing as ride-share drivers to rob people in the River North neighborhood, police said Sunday. 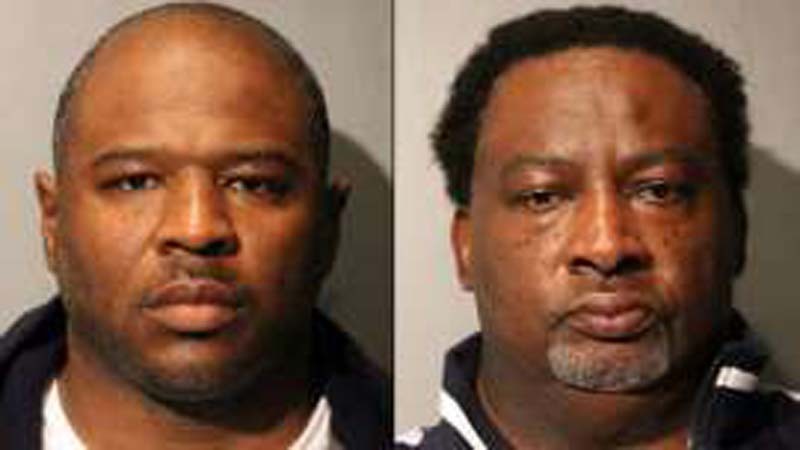 Stacey Means, 45, and Robert Archer, 51, both of the South Austin neighborhood on the West Side, each face a charge of aggravated robbery in connection with the robbery of a man they picked up in the 100 block of West Kinzie Street about 3:30 a.m. Friday, according to a police news release. Detectives were tracking Means and Archer on Thursday night into Friday because they were suspected of robbing a man in the 200 block of West Grand Avenue about 11 p.m. April 13, according to police. Means and Archer picked up the man on Kinzie Street, then drove him to an ATM, forced him to take out cash and robbed him of the cash and other valuables, police said. Investigators were able to follow the two and were able to arrest them not far away, in the 500 block of North Franklin Street, where they found the 27-year-old victim’s cash and other property in the car Means and Archer were in, police said. Means, of the 5200 block of West Gladys Avenue, and Archer, of the 5000 block of West Van Buren Street, both have past felony convictions, according to police and court records. Details of their background could not immediately be confirmed.